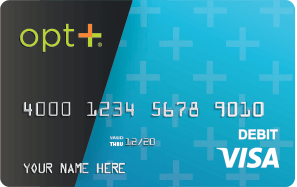 The Opt+® Visa® Prepaid Debit Card can be a great solution if you‘re looking for a daily payment alternative to cash. 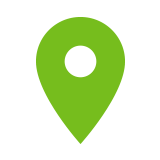 Prepaid debit cards work like traditional bank cards and debit cards. Simply open a prepaid debit card account, load the card, and begin using it for daily transactions - such as making online purchases or buying groceries. 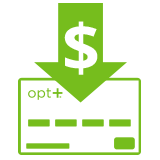 Speedy Cash is the exclusive provider of Opt+®Prepaid Debit Cards. Get your card at a Speedy Cash location today! Applying for a Speedy Cash loan online? Get instant funding to your Opt+ Card! With direct deposit, you could get paid 1-3 days before pay day. Enjoy no charge withdrawals at any Speedy Cash location. 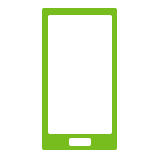 Always know your balance with email and text alerts and the Opt+ mobile app! How Do Opt+ Debit Cards Work? 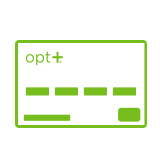 Opt+ offers three different card options, so you can choose the card that fits your wallet. 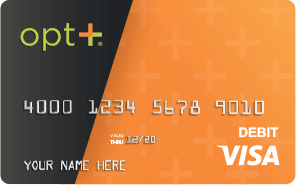 The direct deposit card gives you quick access to your paycheck and offers no charge PIN and signature purchases for a basic monthly fee of $5.95. Plus, your monthly fee will be waived if you have direct deposits exceeding $1,000 monthly. If your employer or benefits office offers direct deposit, and you plan to use your card several times within the month, this is good option for you. With a monthly fee of $8.95, this option also offers signature purchases and PIN purchases at no charge. 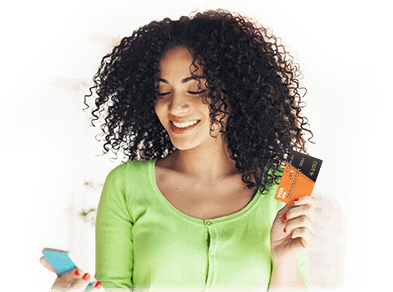 If you plan to use your card more than 4 times on a monthly basis but don't have direct deposit, then this is the best card for you! With the Pay As You Go card, you will only have to pay when you use your card. 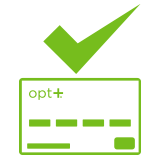 By default, if you are a new Opt+ cardholder, then you will automatically be enrolled in the Pay As You Go plan when you're first issued your card. If you only plan to use your card less than 4-8 times per month, then this is the card for you! Try an Opt+® Visa® Prepaid Debit Card Today!